Excellent news concerning this retrofit, replacement and local modernization project. The existing bridge l@@ks dangerous and neglected. Thumbs up! ~ Did You Know? The new Haystack Bridge that will be installed in Petaluma is a re-purposed bascule bridge, purchased from Galveston, TX. Part of a Coast Guard project to widen the channel opening there made a relatively new bridge that was suitable to the SMART project. This approach offers several benefits over the original plan to rehabilitate the existing Haystack Bridge: the maximum train speed over the bridge goes up from 10 to 40 mph; the useful life of the bridge goes from 20 years to 80 years; the river channel widens from 55 to 87 feet; and the superstructure of the bridge goes from a low fender protection system to more substantial “pile clusters” to protect from a barge impact. In addition, all of these improvements will be achieved with the re-purposed span for the same cost as the originally planned retrofit. SMART announced the purchase of 56 acres of wetlands along the Petaluma River that will be preserved as part of its environmental mitigation program. 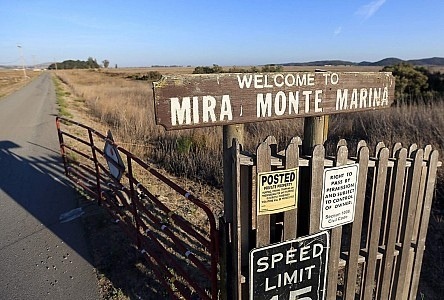 The Mira Monte Marina is south of Redwood Landfill, where San Antonio Creek meets the Petaluma River. Environmentalists welcomed the purchase, this acquisition will add to the 2,000-acre protected Petaluma Marsh system that supports an array of bird, plant and animal species, including the endangered salt marsh harvest mouse and California clapper rail. Excellent development for the Larkspur extension! grants SMART funding to complete the federal environmental review process as well as final engineering and design for this critical segment. Great news, SMART rail car seats pass safety tests after changes, rail service from Santa Rosa to San Rafael still on schedule for 2015.